Here are some basic plumbing tips we suggested that can save you money and protect your health. 1. Can I put scraps down the kitchen drains? YES – Only if you have a good quality garbage disposal. Not a noisy cheap disposal, but one that actually grinds food really fine. This allows the scraps to go down the drain while using plenty of water to carry it away. Of course, it is still best to scrape dishes into a garbage can. 2. Is that unused plumbing fixture safe? 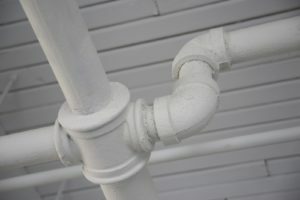 NO – Homes having a plumbing fixture that doesn’t get used but is hooked up to water piping becomes the breeding ground for microbial and bacterial growth. Water in the piping near the fixture becomes stagnant and chlorinated water doesn’t mix well with it. Remove or cap off any unused plumbing fixture water piping over 2ft in length to reduce risks and cap off sewer piping drains. If nothing else, run water weekly through those fixtures. 3. Are chemical drain cleaners safe? NO – Those drain cleaners can burn plumbers and damage your piping. Even a few splatter drops or incidental contact can damage layers of skin. Blockages do not magically flush away leaving a shiny pipe. Blockages are removed better by cabling. 4. Does it make sense to cable my main sewer when it plugs each year? NO – It will continue plugging and increase risks for damages from a sewer backup. Costs will just increase. Once identified, there is no good way to avoid those costs, since defective sewers must be disclosed during real estate transactions. A sewer camera can point exactly where the damages are and reduce the cost of repairs; it’s well worth the investment to fix it the first time the sewer backs up. It makes more sense to locate defects and fix them. 5. Why do some stores sell plumbing fixtures and faucets cheaper? The quality is usually not the same and the warranty is only for replacement. If the discount faucet fails, you may be forced to sue the factory. Plumbers typically can’t typically warranty fixtures and faucets purchased elsewhere. They CAN warranty quality fixtures and faucets purchased through them at their supply vendors. 6. Are your water bills suddenly high? What might have happened is the toilet is leaking past the toilet tank flapper and slowly seeping unnoticed into the toilet bowl. Check for leaks by putting food coloring in the toilet tank. If the food coloring seeps into the toilet bowl, the odds are the toilet needs some adjustments or parts replaced. Before making repairs, consider a taller elongated toilet that will be more comfortable. 7. How long do braided washing machine hoses last? Manufacturers and insurance companies recommend replacing standard washing machine hoses every 5 years. Braided hoses typically last longer than the standard black hoses, but they still need to be replaced every 7 years. NextWhat Temperature Should a Hot Water Heater Be Set At?